Only the steadiest of hands can succeed in this game of daring tension. Try to remove each stick in turn without moving any of the others. 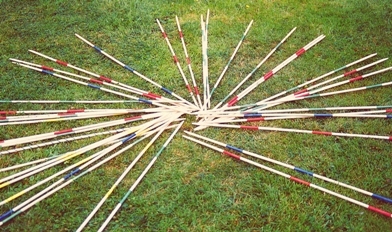 Contains 30 wooden sticks 3 foot in length.